Lee Cronin's debut feature film The Hole in the Ground just had its world premiere at Sundance in the midnight program and response has been good so far. If you are eager to have a look for yourself A24, a company with a penchant for picking up good titles and boasting a pretty good track record so far, is quick off the blocks to release the film in America. 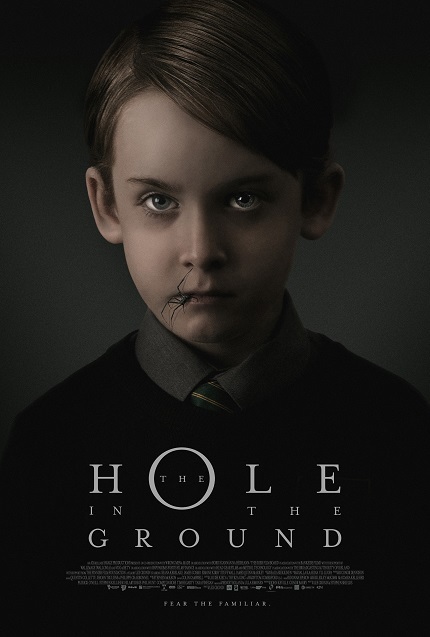 You will find The Hole in the Ground on DIRECTV starting on January 31st and in U.S. theaters starting on March 1st. Earlier today the trailer and poster were released. There is the poster to the left (not a fan of spiders by mouths but that could be just me) and the trailer is below. Enjoy! If you are at the festival and missed the first two screenings The Hole in the Ground plays twice more at Sundance on Wednesday, January 30th and Friday, February 1st.